Lowering my nose into my glass, the mélange of whisky and bubbles tingled in my nostrils as I took a careful sip. 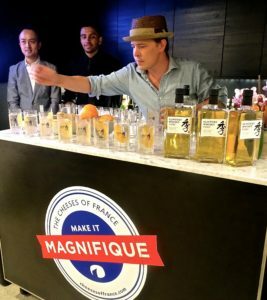 Although not a fan of whisky, the Highball cocktail with a twist of grapefruit and carbonated soda was really refreshing and a nice way to kick off the event at the French Cheese Board. Once associated as a man’s drink, women have increasingly embraced whisky, snapping up nearly 37% of the market share in the U.S. From the 1980s’ powerbroker drink choice, the ladies have begun organizing their own whisky-themed events. For some, it is a desire to try something different. Typically, cheese is often paired with wine or beer, but according to Asian Women In Business founder Bonnie Wong, it was a good opportunity to experiment with delicious French cheeses. 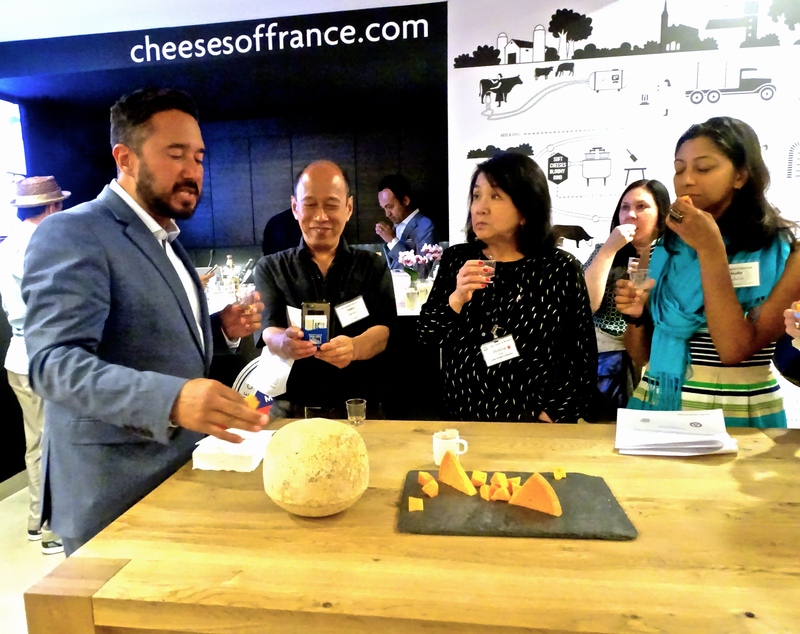 Similar to the cheese and sake event last year, AWIB’s Japanese whisky and cheese pairing was about pushing boundaries and bridging cultures. The French Cheese Board is no stranger to unorthodox cheese pairings at its concept store in SoHo, whose events include cheese and Japanese tea as well as a 50 Shades of Grey-themed chocolate and cheese soirée, where blind-folded patrons reached in a gold mystery box of creamy goodies. 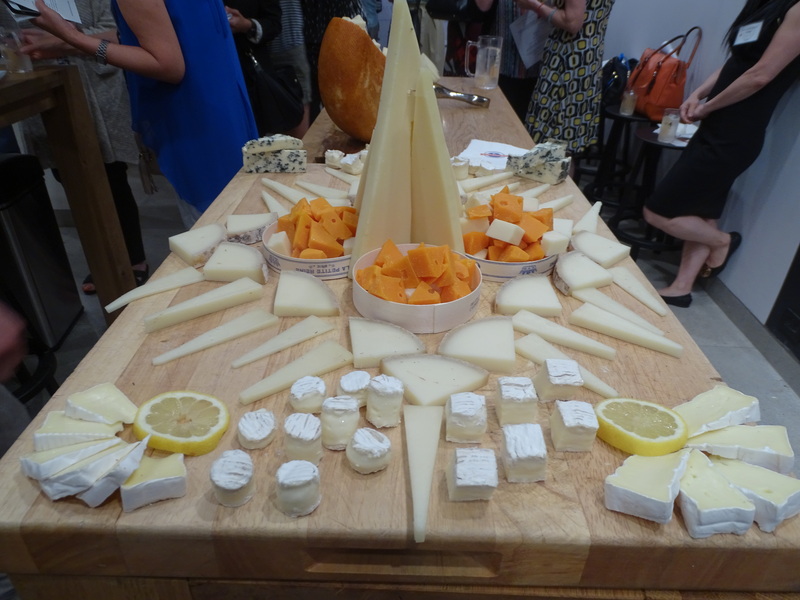 Since its quirky lab incarnation in 2016, the FCB has dazzled New Yorkers with amazing towering displays of cheese, pop-ups and foodie meet-and-greets. 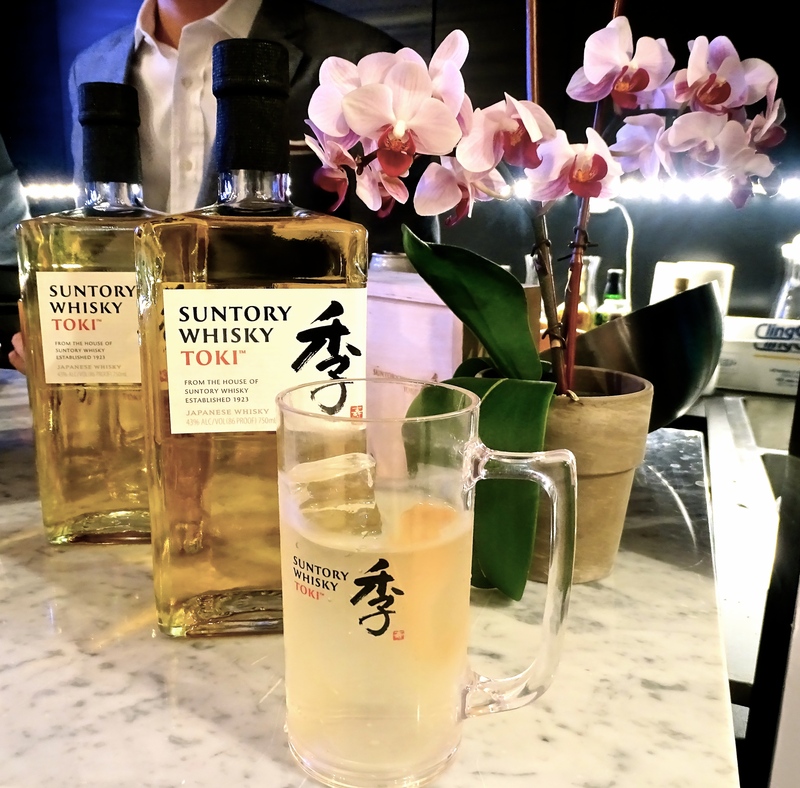 For whisky lovers, Suntory needs no introduction. 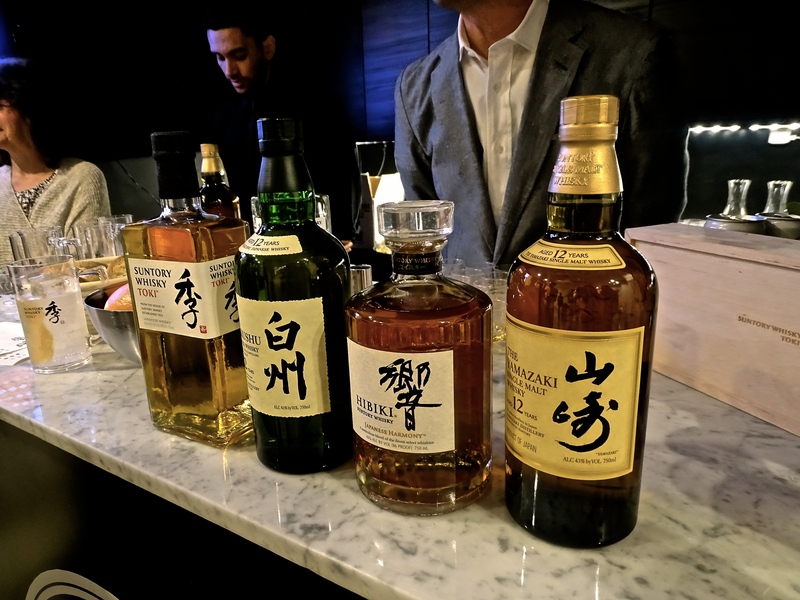 Standing alongside the top producers of Scotland and Ireland, the Japanese maker’s whiskies rank among the world’s best. 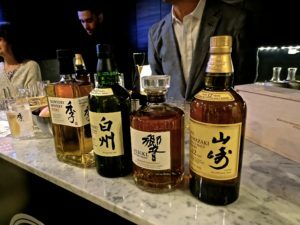 Famed for its award-winning, floral Hibiki and Yamazaki, tonight the Japanese distiller showcased its top-selling classics as well as its newest star, Toki, part of Suntory’s promotional campaign which included a recent stopover at Roki Brasserie. Recently available in the U.S., Toki combines a spicy, oaky blend of Hakushu, Yamazaki and Chita distilleries. “The pairing process was a trial and error” – said Rosser Lomax from Jim Beam Brands Co, part of the Suntory Group, who had the difficult task of pairing Japanese whiskies and French cheeses. Happily, many of them worked very well. He matched Toki with a soft cow’s milk cheese Chaource, which has a creamy, crumbly texture, bringing it to a whole new level. Fans of smoky whisky would delight in Suntory’s Hakushu, a 12-year single, champagne gold malt. Far from a super smoky Laphroaig, Hakushu is a bit subtler with a sweet pear note. The choice of creamy Camembert from Normandy was really nice with the smokiness of the Hakushu worked well with the buttery, mushroomy flavor of the Camembert. 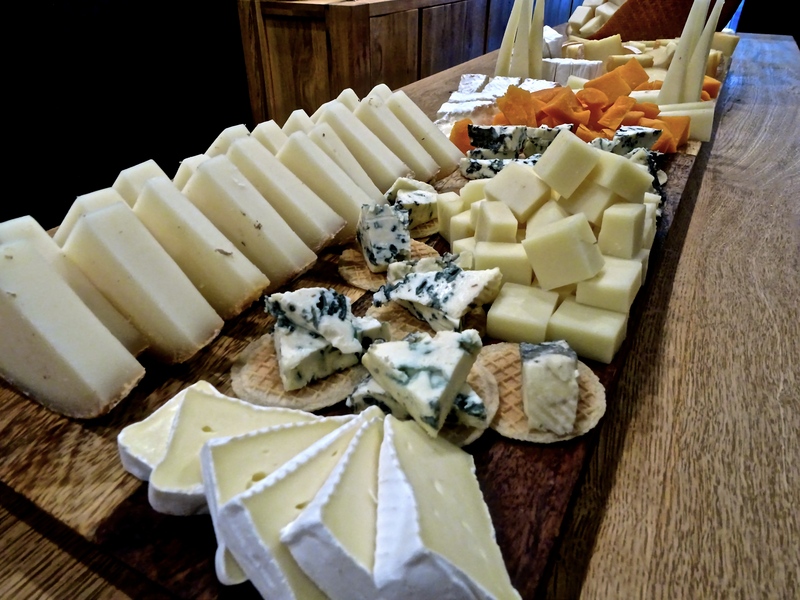 Hibiki, known for its incredible floral bouquet and complex aromas with a hint of Mizunara, a Japanese oak, seemed an interesting choice to pair with the Rolls Royce of French cheeses, the fiery orange, nutty Mimolette. Interestingly, the honey sweet and candied citrus flavors of Hibiki cut through the cheese’s super sharp nuttiness. Finally, we moved to Japan’s number one seller and Suntory’s flagship single malt, Yamazaki 12 year, which has an agreeable fruity, buttery caramel note that carries a warming cinnamon finish. Normally paired with soft fruit, it seemed natural to enjoy it with sheep’s milk Tomme Brûlée, which is often served with apricot or fig jam. 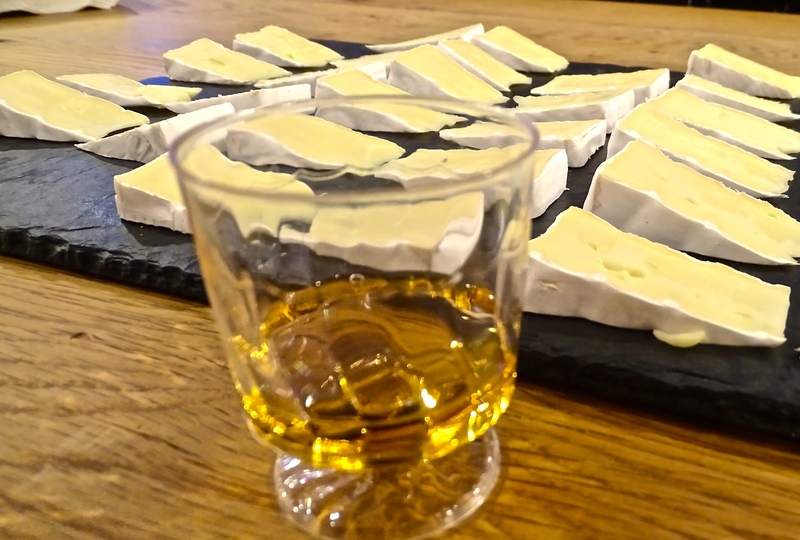 The whisky and saltiness of the cheese was so well balanced that I could not help wanting more. Daring as these combinations were, AWIB’s activities also stretch beyond the casual meet-and-greet. Though AWIB’s primary purpose is to support Asian professional women through forums and fundraising, the group often includes non-members and spouses at its meet-ups. Events include test-driving Teslas and an upcoming, colorful Diwali Day event at Bloomingdales. For more information on membership and activities, visit AWIB.